Greetings from Cofradia, Mexico! Merry Christmas and Happy New Year! This is the time of year that we are able to sit out around a fire at night roasting hot dogs, marshmallows, making s’mores, and enjoying one another’s company until we’re all too tired to stay up (+/- 10pm) LOL. It’s fun to watch the children striking the piñatas as they await in anticipation for the candy to fall on the ground; it’s a race to see who can get the most. More importantly, it is a special time to remember what God has done for us as he gave us his son as an extraordinary gift in order to allow us to have hope and new beginnings. It seems only fitting that the New Year falls right after Christmas after we’ve been reminded and celebrate what He’s done for us. A New Beginning, a New Life, a New Year! Our prayer is that you will remember and celebrate with us the hope we all have in Christ! 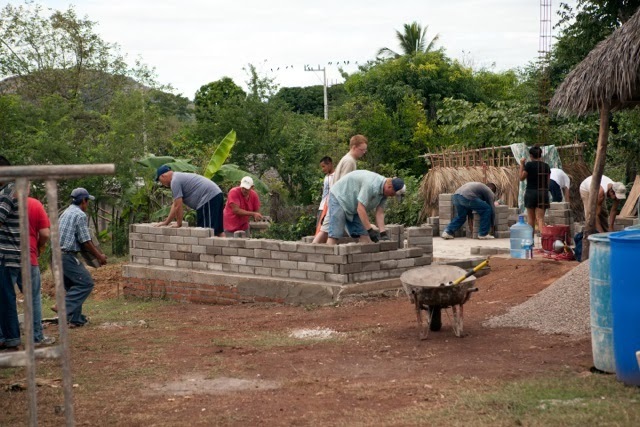 December was quite busy as we prepared for the teams to come down and build homes, build relationships, and invest in the Kingdom of God together with us as we Raise up Leaders in Rural Mexico! Men’s Study: On December 14th, we kicked off our new Men’s Study called, Wisdom for Fathers. There are 16 men walking through this devotional/group/bible study. This is the first organized Bible study we’ve done lately with the men all together. It’s exciting to hear them talk about how much the study has helped them already. Thank you for your continued prayers. House Build Preparations: We poured two floors and have purchased most everything we need for the three homes. 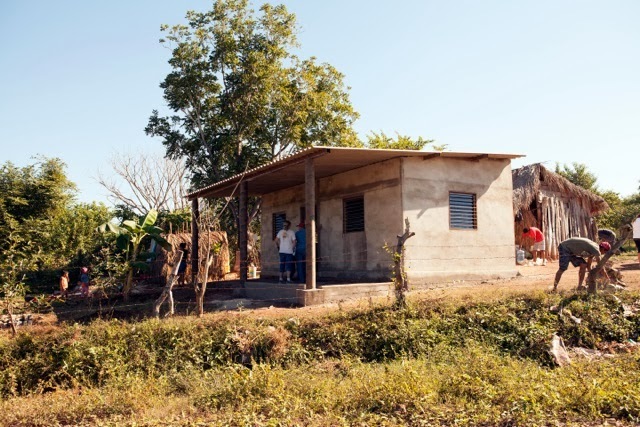 The first home is for a family in Santa Fe who has 9 children and a small hut made of planks that doesn’t fight off the water when it rains. 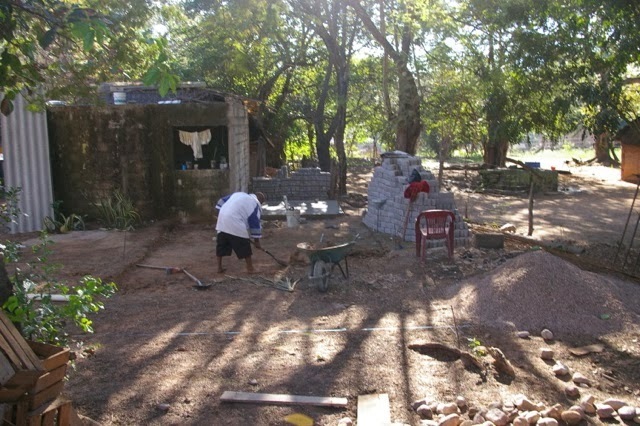 The week of New Year’s, we had a team here to build them a home and provide for them a water tank, connection to the water-line in the street, connection to electricity, a bathroom, and furniture (beds, mattresses, bedding, chairs, table, cots). It was a huge blessing for the family. Read more here and view the pictures of the process. Various activities and visitors: we continue to have visitors here. 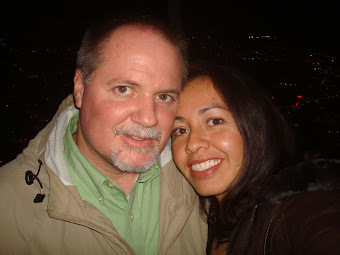 Tom and Linnea Hackett (founders of Alternative Missions) have been with us for the house builds. Dave and Kathy Elias and their son Jonathan were here during Christmas. Kathy is still here helping with the women’s team we have from Texas this week. It is great to see them all again and get re-acquainted. 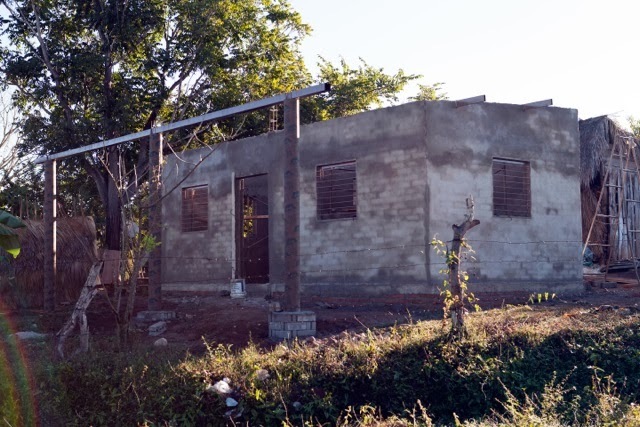 Cofradia House Build: We have a team from Washington coming down to build a home for former AM Missionary staff member, Isabel, from January 11 – 18. Arrayanes House Build: We have a team from Washington coming down to build a home for a young family whose mother has suffered a broken spine in a car accident and has been unable to walk since. 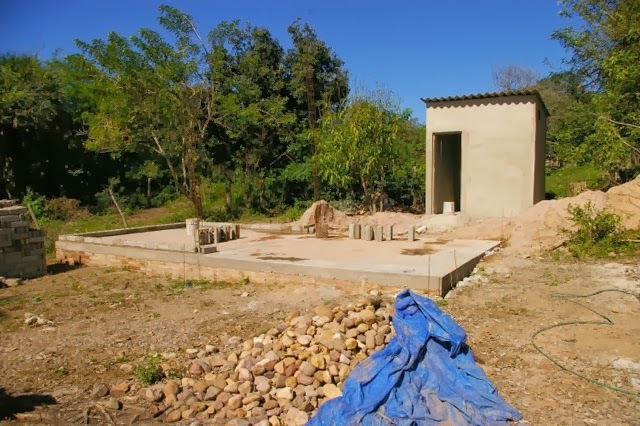 The floor has been poured and funds for a bathroom have been raised. The bathroom is complete in this photo. Work is being done to prepare for the pouring of the floor which is scheduled for this Saturday. In the back alongside of the current house is the slab where the bathroom will be. PLEASE CONTACT ME OR TOM HACKETT IF YOU ARE INTERESTED IN PARTICIPATING IN BUILDING A HOME WITH A TEAM OR SENDING DONATIONS TO HELP A FAMILY IN NEED. "You've made our dream come true!" was the response of the family during the dedication of the first of three homes to be built here in January. 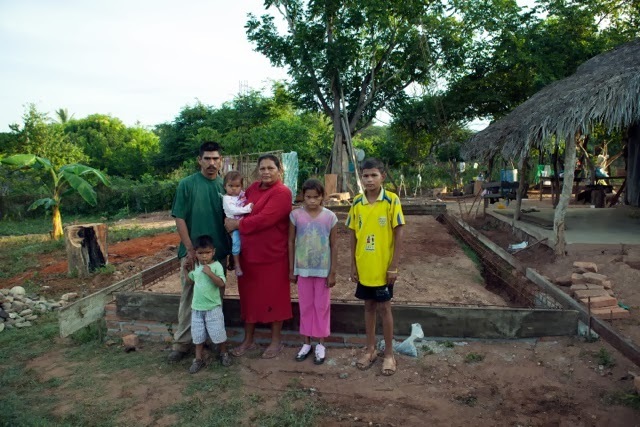 The Figueroa Vazquez Family of 11 in Santa Fe were extremely excited to be the recipients of a Cofradia Dwellings home. For many years, family who come to church have been praying for the mother of this family who is their sister. Just recently, through the prayers of family members, God moved the hearts of a family from Ridgeway, Colorado to come down and build a home for them. It was an incredibly touching time as the family received the home with tears in their eyes and repeating that phrase over and over, "You've made our dream come true!" To the glory of God! 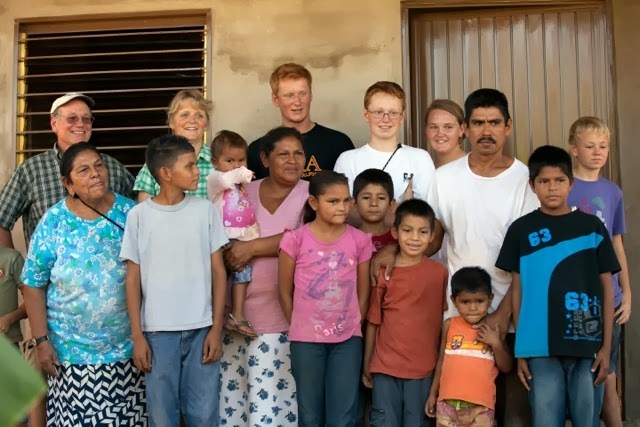 The Colorado family raised enough money to build a septic for a bathroom, an above ground water tank, water hook-up, electrical hook-up, beds and bedding, and other furniture. What a huge blessing! 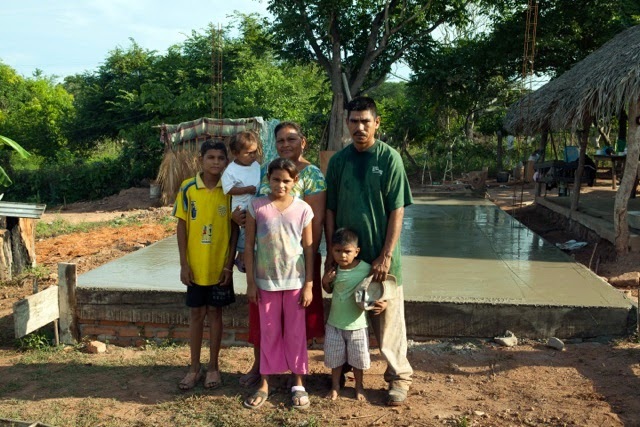 The Figueroa Vazquez Family with the four children who live with them - before the floor was poured. After the floor was poured. They raised up the wall to the 6 foot mark in two hours. Smoothwalling, setting in doors, and preparing for the roof to get on. To the right you can see the house they used to live in! Front view, ready for the roof! 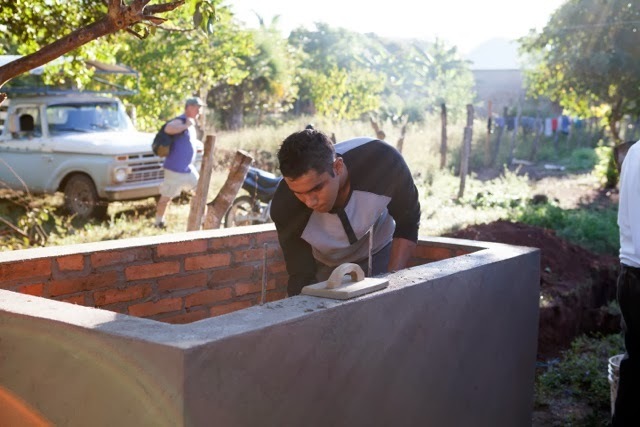 Chuy working on the above ground water tank. Just minutes ago the women finished their fifth and final morning Bible Study here at the Mission Base. The first three mornings were set up to walk through the Bible each day with different themes and the final two mornings were dedicated to sharing tools on how to study the Bible. Each afternoon the Americans have come along side the locals to reach out in a "back-yard" bible study in different towns for the purpose of connecting, developing relationships, and leading people to Jesus. 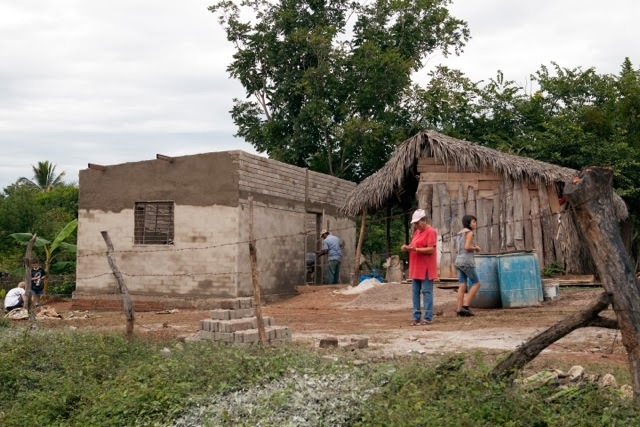 They have visited Arrayanes, Las Pilas, San Marcos, the Cora Indian village of Mojocuautla, and this afternoon they will head up to the Cora Indian village of Agua Aceda. Both of the Indian villages will receive packages of food and cooking supplies as well. The group of women from Cy-Fair Christian Church in Houston, Texas have been an incredible boost each year for the local women of Cofradia for many years now. What a way to start each year! 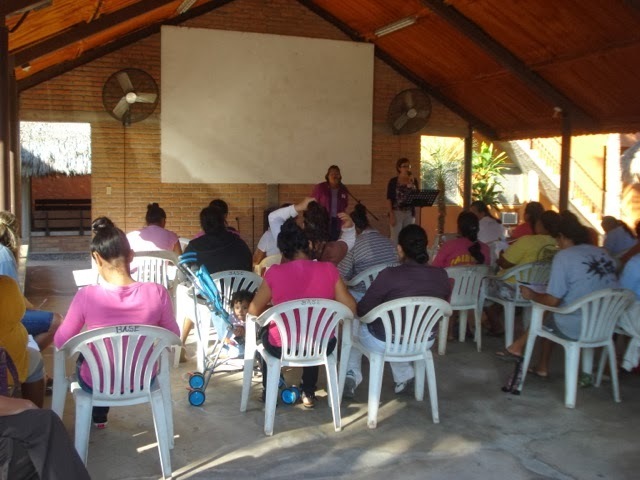 Colleen teaching in the mornings with Isabel interpreting. Backyard Bible study with crafts. Preparing for the food distribution. 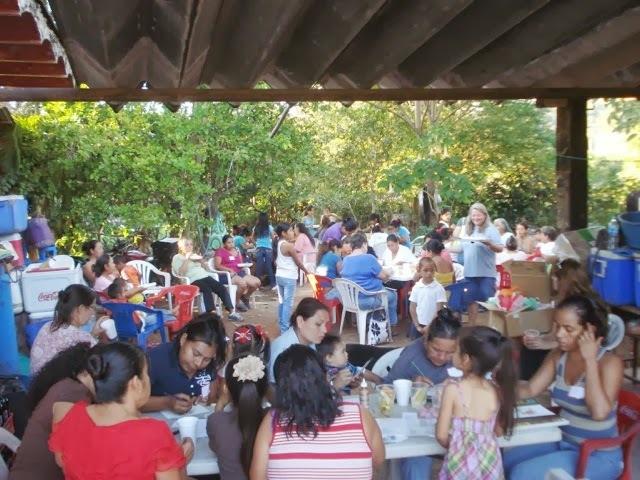 Backyard Bible study in Mojocuautla and food distribution.